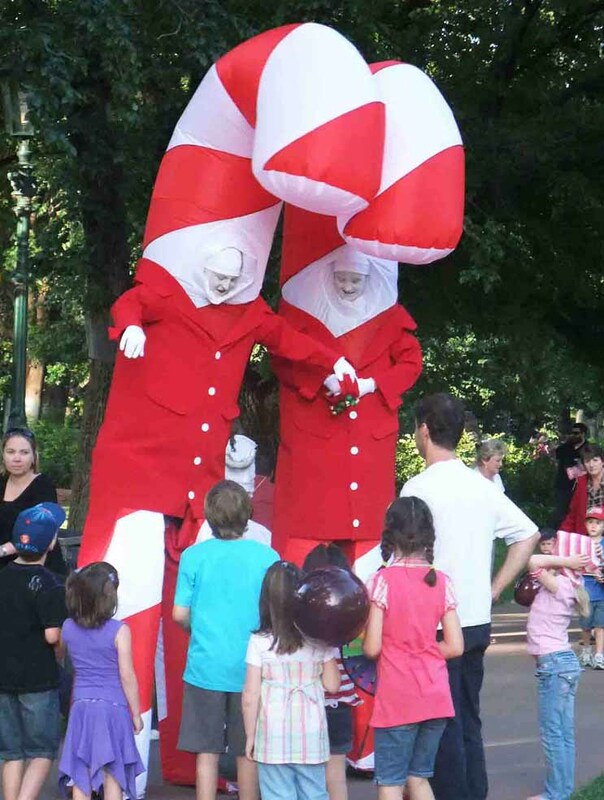 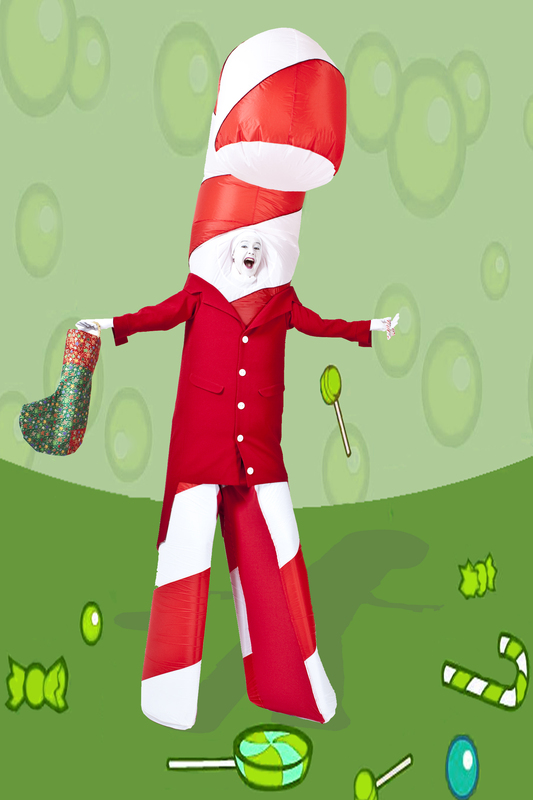 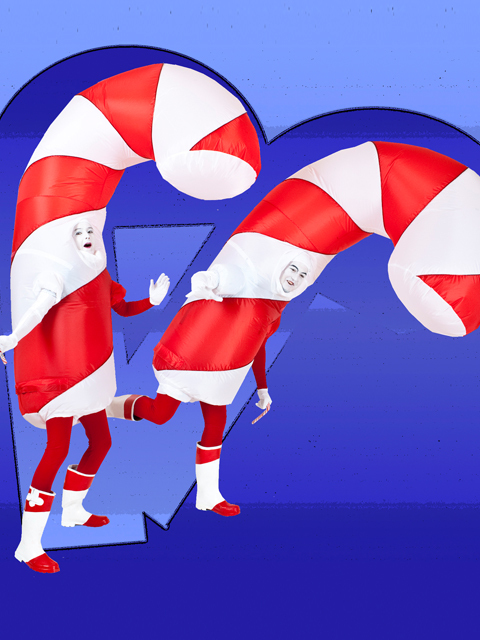 Towering at 3.7 metres tall our impressive Giant Candy Canes deliver the “Wow” factor and delight audiences of all ages. 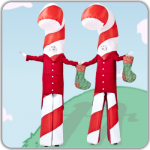 The very sight of these Candy Canes spread Christmas cheer and their playful nature thoroughly engages the audience and leaves them with a sugar high! 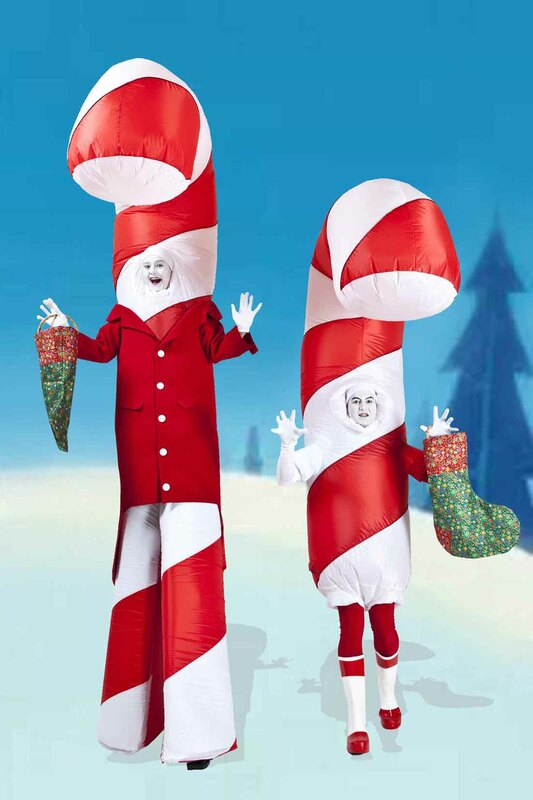 They guarantee that your Christmas event is a memorable one.The Giant Candy Canes can distribute lolly candy canes to the audience (optional) or you may prefer to have customised rock candy commissioned with your company name or logo. 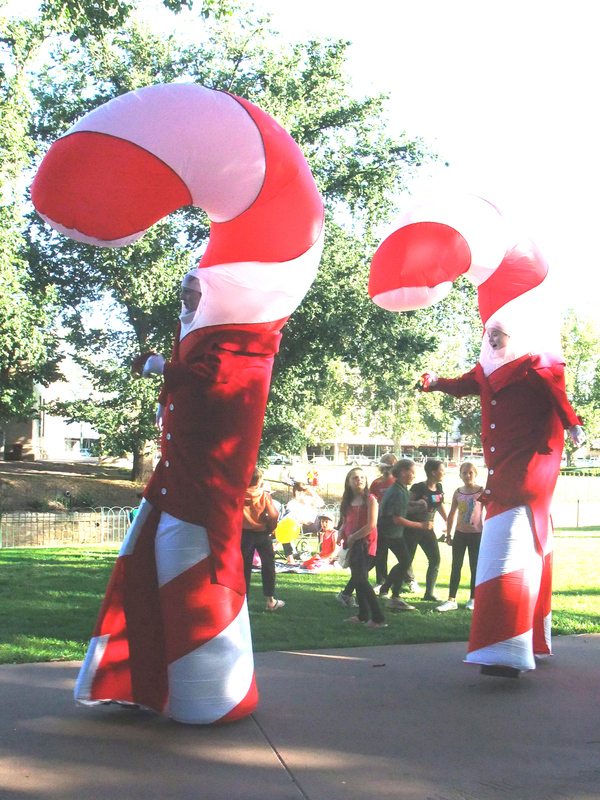 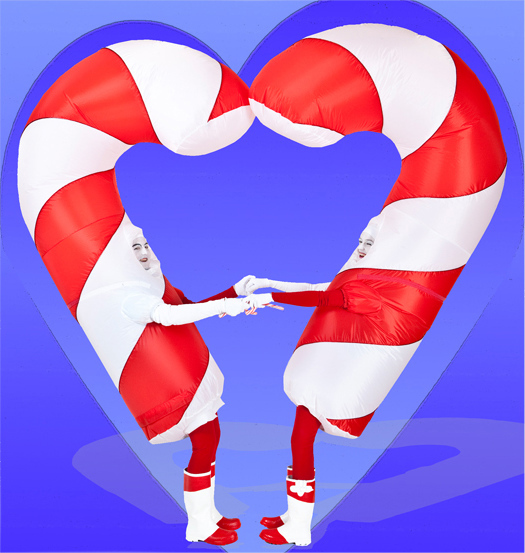 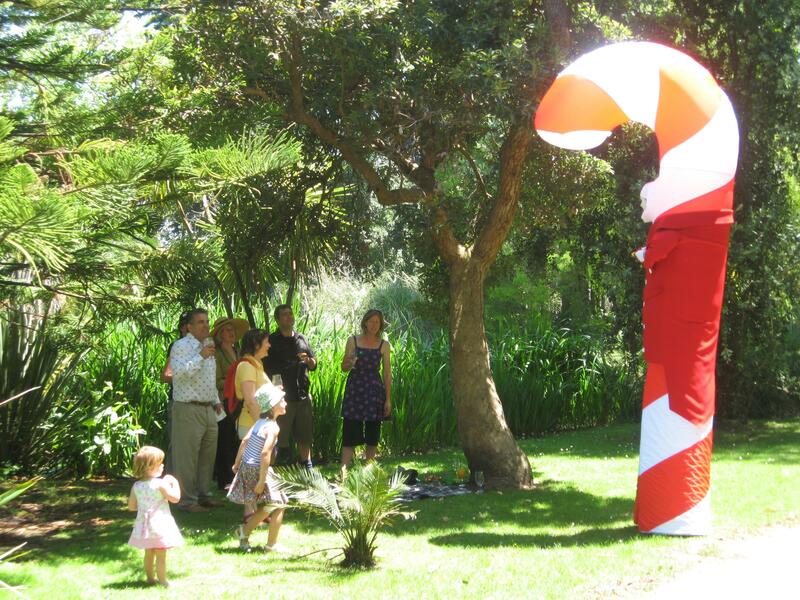 The Candy Canes can perform both indoors and outdoors; from shopping centres to parks and gardens. 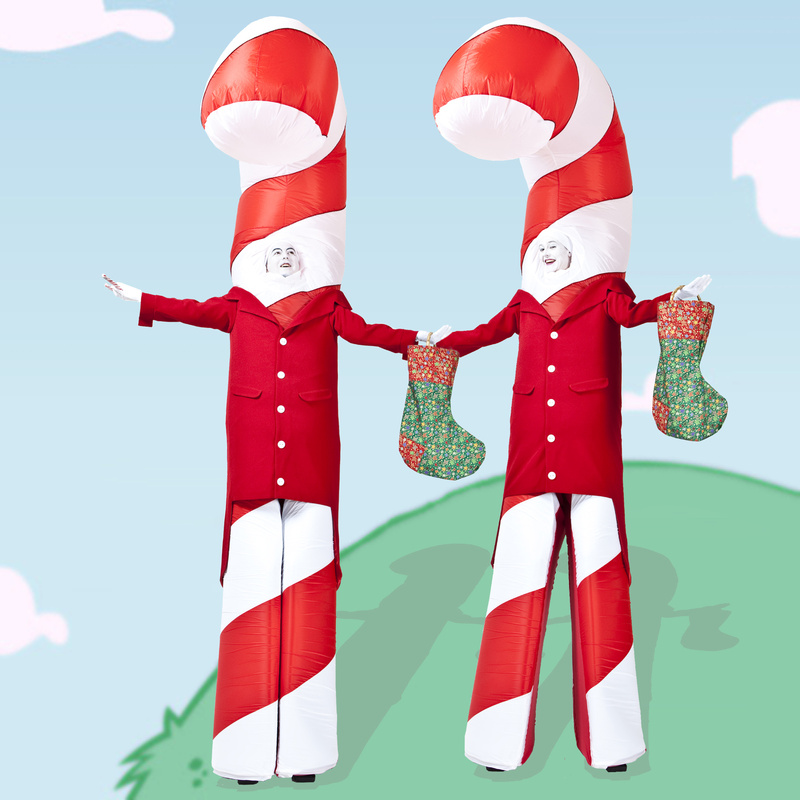 If you want your Christmas event to stand out, these canes are your candy-men.